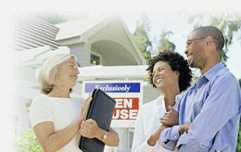 Agents servicing the Phoenix, AZ area blog about their local real estate market. Get advice, read opinions and ask questions of a local realty expert. View a blog by clicking on an agent below. There are no agents with blogs located in Phoenix, AZ. Use HomeGain's AgentEvaluator service to compare REALTORS® in Phoenix, AZ and get custom proposals to address your intended home purchase or sale. Best of all you remain anonymous during the entire process. Submit your anonymous request for proposals. Agents respond to your request on HomeGain. You compare agents and choose which agent to contact. to help you sell your house. to help you buy a home. Search Phoenix real estate, get Phoenix home prices, view Phoenix homes for sale, find Phoenix Realtors and try the Home Sale Maximizer home improvement tool on HomeGain. Search Avondale homes for sale to view current real estate listings, find Avondale real estate for sale in the MLS, and check Avondale home prices, including recent home sales and nearby sales. Search Paradise Valley homes for sale to view current real estate listings, find Paradise Valley real estate for sale in the MLS, and check Paradise Valley home prices, including recent home sales and nearby sales. Search Glendale homes for sale to view current real estate listings, find Glendale real estate for sale in the MLS, and check Glendale home prices, including recent home sales and nearby sales.